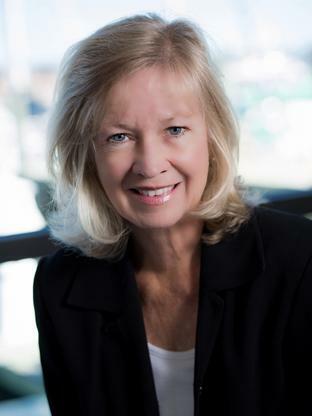 Virginia "Ginny" Vernick joined the Annapolis office of MacKenzie Commercial Real Estate Services after a 27 year career with Cary Winston/Transwestern where she provided both landlord representation and tenant advisory services for a multitude of businesses and property owners throughout the Washington Metropolitan area. MacKenzie hired Vernick to join its retail team and develop new opportunities in specific markets around Washington DC. Ginny brings her client base to the MacKenzie team for a win-win combination of experience and reputation. Ginny Concentrates her efforts on retail leasing in providing marketing and leasing/sales services for landlord and tenant retail services assignment. Her current listings include shopping centers, pad site opportunities, and land sales. She focuses her efforts on assisting clients sin the successful completion of lease and sale transactions throughout the greater Washington metropolitan area, and creates awareness and develops business opportunities for specific landlord-oriented retail properties and shopping centers. Tasks include positioning the asset in the marketplace, as well as identifying and directly targeting users resulting in the highest and best use of the retail properties. Additionally, Ginny assists national retail users, including Shoppers Food Warehouse, Checkers, Royal Farms, Price Busters Furniture, and a variety of independent retailers in site selection and negotiation of shopping center leases throughout Maryland, Washington, D.C. and Virginia. Ginny is a member of the International Council of Shopping Centers. CoStar named Ginny a Power Broker in 2013, 2014, and 2015. Ginny is a University of Maryland graduate and holds a Bachelor of Arts degree in English. Ginny's experience includes medical office leasing, land sales, office building leasing and sales, industrial warehouse leasing, and specialty uses including daycare. For landlords, Ginny works to develop business interest including targeting prospects, conducting tours, generating proposals, negotiates business terms and ultimately provides the driving force toward the successful leasing/ sale of the assigned property. In assisting tenants, her role includes understanding the business model and bringing opportunities to the end user with the most potential of achieving success. Understanding the transaction from both sides of working towards mutually beneficial transactions where both parties can achieve objectives, has served Ginny well over the years.